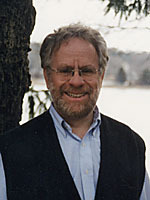 Dr. James T. Carlton, program director of the Williams-Mystic Maritime Studies Program at Williams College, Mystic Connecticut, will give a lecture for the OIMB Series entitled "Coming to America: Marine Biology and Japanese Tsunami Marine Debris”. Dr. Carlton's lecture will take place in Charleston, Oregon OIMB Boathouse Auditorium, 63466 Boat Basin Road. He is known globally for his work with marine ecology and invasive species. If you are free on Wednesday, July 10th at 7pm, this will be well worth your while!